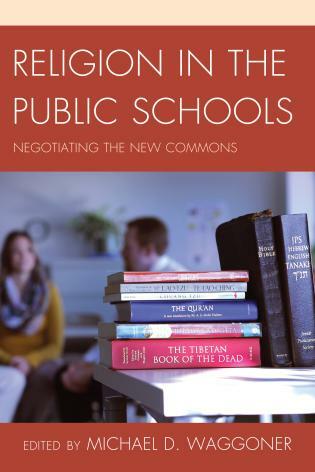 This month, Rowman & Littlefield Publishers will publish Religion in the Public Schools: Negotiating the New Commons edited by Michael D. Waggoner (University of Northern Iowa). The publisher’s description follows. Since September 11, 2001, the profile of religion’s role in our global society has increased significantly. Religion has long been a force in people’s lives as numerous studies and polls show, yet we continue to struggle with understanding differing religious traditions and what they mean for our common life. There are few places where Americans can meet together to learn about each other and to share in the common construction of our futures. One such place for many is public education. The purpose of this book is to illustrate the complexity of the social, cultural, and legal milieu of schooling in the United States in which the improvement of religious literacy and understanding must take place. Public education is the new commons. We must negotiate this commons in two meanings of that term: first, we must come to mutual understandings and agreement about how to proceed toward a common horizon of a religiously plural America; second, we must work our way through the obstacles in these settings in practical ways to achieve results that work.